Sami Mertanen from Helsinki has only had black cars, since it simply is the best color in the whole wide world, according to him. While it is the sweetest color, it comes with a price of maintenance, so it's not for the feeble and meek. 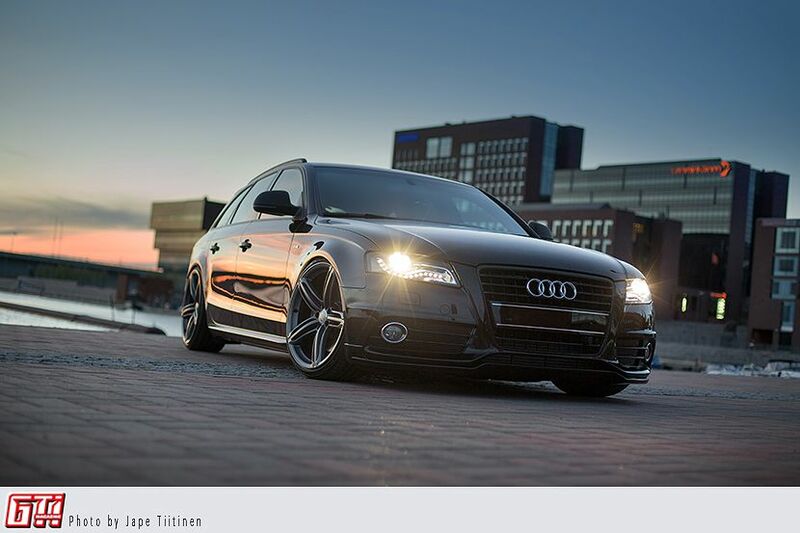 Sami has built his Audi A4 in true OEM fashion, and it represents what a real gentleman's ride is supposed to be like. Dark. Sami has a colorful list of ex-cars, varying from Type-R Civics to APR tuned Seat Leon Cupras. With one exception, his cars have always been black. 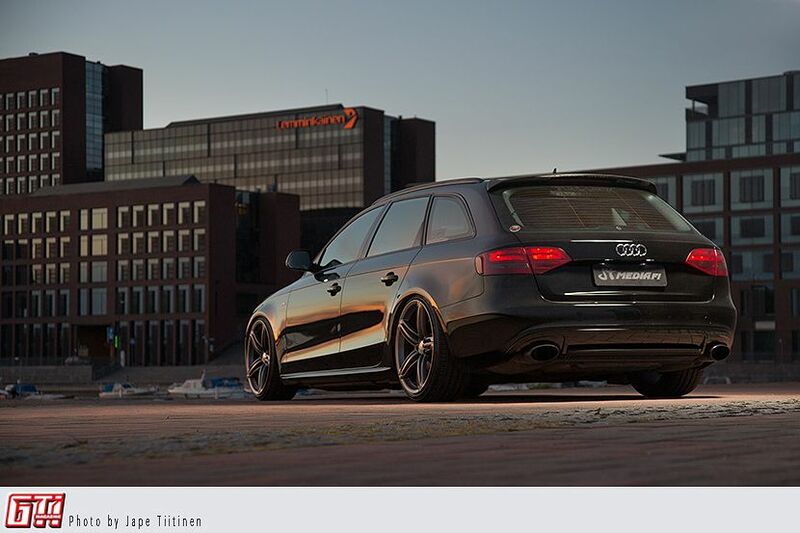 After he recovered from the infamous turbo fever smote on him by Cupra, struck the ill fate of quattro fandom, and he bought a black B7 A4. Life was good, love was present and basic tunes were made, but life moves on. Sami found himself buing this B8 A4 in May of 2013. Since the shining black is a difficult color to maintain, and Sami has had his share of black cars, has he aqcuired himself a royal car detailer that has served his demanding needs of perfection. Soon after the purchase Mia (MH-Autoclean) took the car under her care and did her magic, making the paint come back to life. 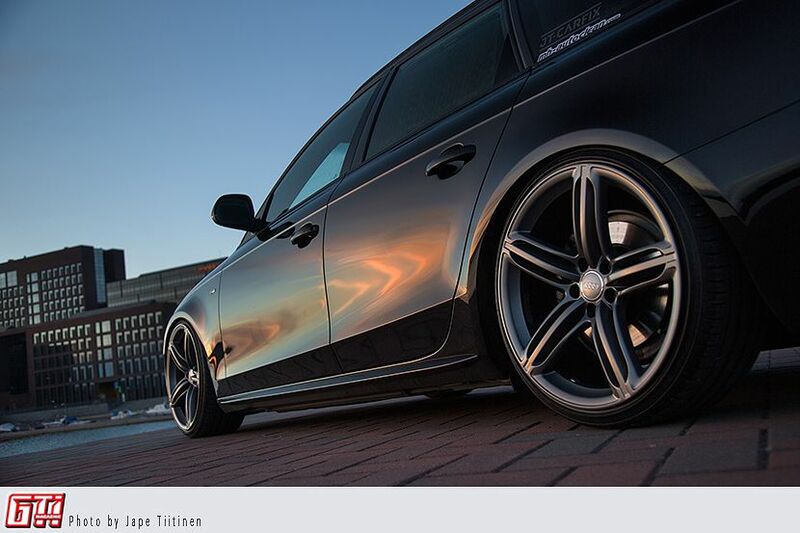 The 20x9.5” C6 RS6 Peelers' were bought in 2015 when Sami traded his old 19x9” Rotors with our photographer. Behind the front wheels you could see Audi S5 brakes, that were bought second hand. The JMS front lip compliments the bumper and looks very stock, yet aggressive, which is always a nice combo. During the first summer Sami swapped the dull grey front mask to a black one and painted the fog light surroundings black. A lot of of other parts were also painted black, such as the roof and window trims, since Sami is assumably either a goth or a ninja. The license plate frame is from an USDM model, because it just looks so much sleeker. The rear diffuser is from a B8 S4. 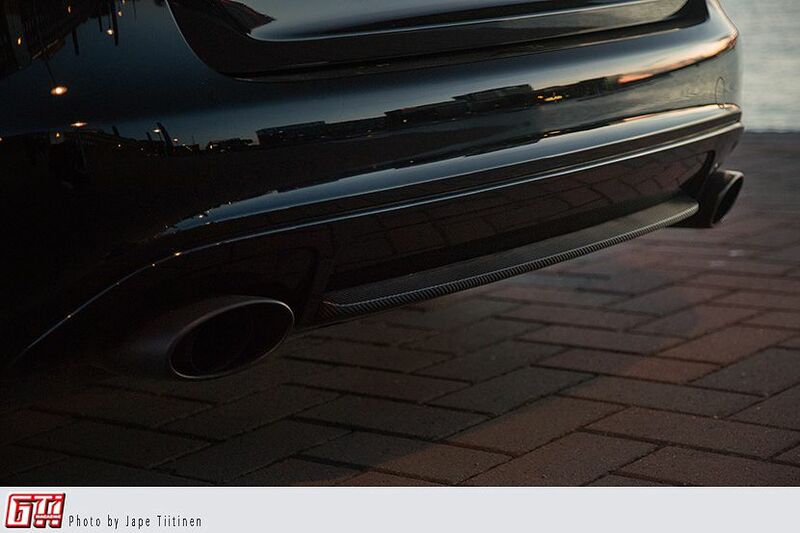 Sami's work mate, Hätsi welded these oval shaped exhaust tips to suit the new look. The tips were then – unsurprisingly – painted matte black. Sami stumbled upon APR's Summer Sale and bought a Stage 1 software, which was then installed by Jere from JT-Carfix. 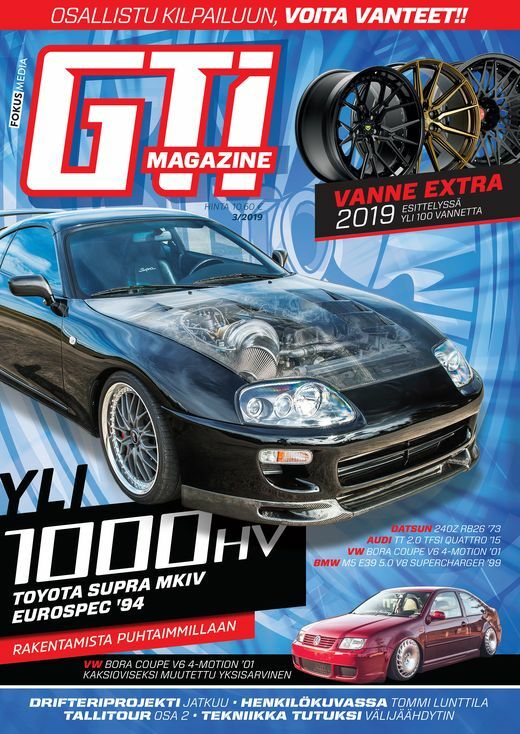 EuroCode intercooler pipe and K&N Typhoon filter were added, and after that the car produced a healthy 265hp, which is 54hp more than stock just in peak power. The interior has gone though a lot of subtle modifications, such as carbon fiber vinyls in door trims, S4 pedal covers and led lighting. 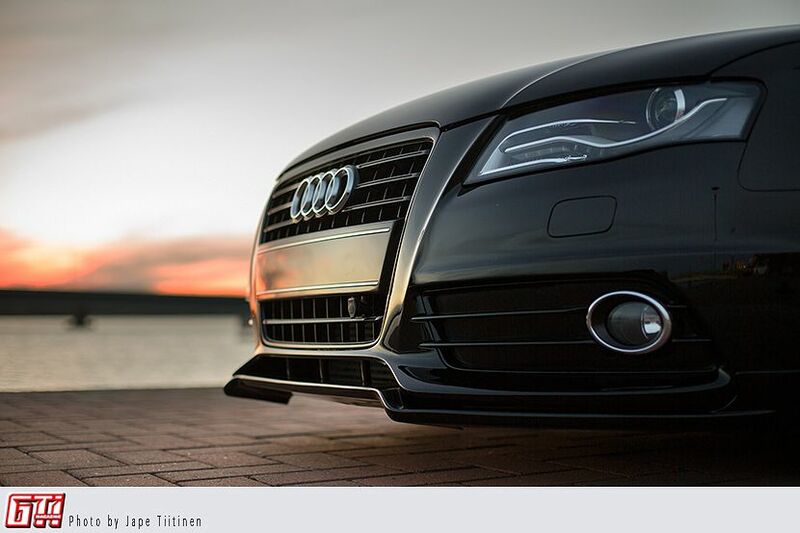 A touch of class is created by Audi Premium floor mats and OEM coat hangers, that can be seen behind the neck rests. At first the car the ride height was dropped with just H&R lowering springs, but in 2014 they were swapped to H&R coilovers. Since nobody likes warning lights, and the functionality of Drive Select was to be retained, a ”Magnetic Ride Cancellation Kit” manufactured by KW was installed, and now everything is all fine and dandy. Or was, in fact, since Sami has already sold this car. Now he's driving some temporary white car of blasphemy, while he's waiting for the next black stallion to stumble into his (presumably) black heart.